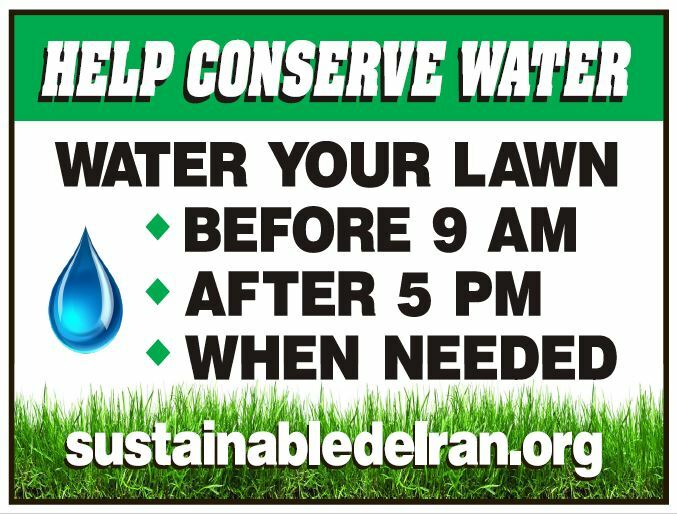 The Green Team posted lawn signs at key locations in Delran to inform residents about lawn watering. It looks like our signs are working. More residents are choosing to water their lawns in the early morning or early evening. Watering during the heat of the day results in significant loss due to evaporation. You need to water longer which uses more water to accomplish the same effect if you water before 9am or after 5pm. You really don’t need to water unless you’ve recently planted sod or reseeded your lawn. The roots will grow deeper with less watering. Once we get the big rain storm – your lawn will be lush green once again. To learn more ways you can use water wisely, go to EPA’s WaterSense website.